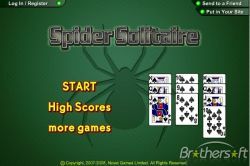 123 Free Solitaire 2009 is a card game application that packs in 12 kinds of solitaire card games, including the two most popular ones; Spider Solitaire and Klondike. 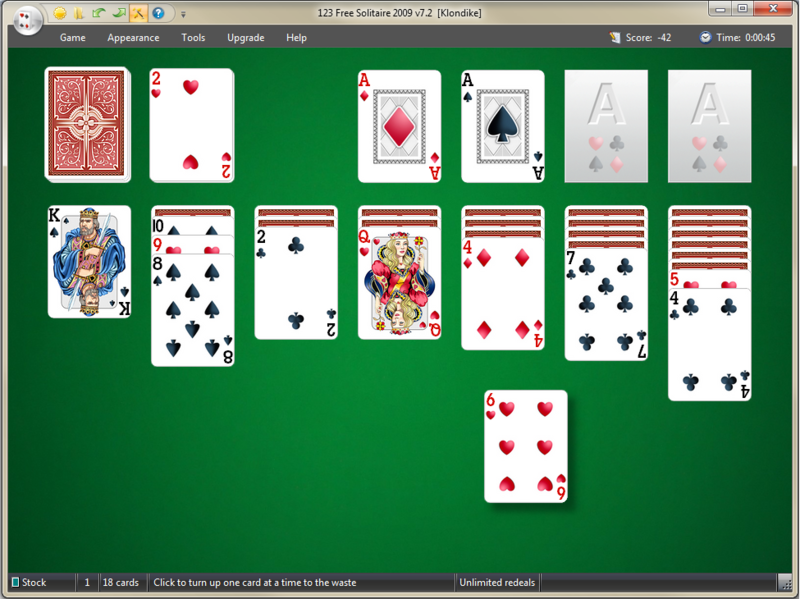 It also has Yukon and FreeCell among its library of solitaire games. The game has a great layout, lots of options, crisp sounds, snappy gameplay, and an extensive help library. 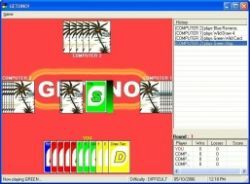 As solitaire games go, this one is pretty good. 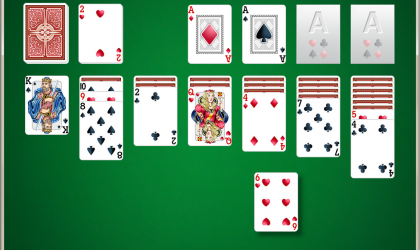 I went into this game thinking, "How good can a solitaire game get? You play one, you've played them all." I was pleasantly surprised that this free game is actually very well-made. The game's animations are smooth and the graphics on the cards, both face and back, are very sharp. I especially liked the renditions of the King, Queen, and Jack cards. The level of detail in the said cards' are just beautiful. Let's put it this way, I wish I had the physical equivalent of the decks. If I did have actual cards that looked the way they did in the game, they'd only be pulled out when guests are present. The games sound and audio are very crisp as well. The sound of shuffling and cards being dealt are nicely authentic. The only gripe I have about the audio is the canned clapping that triggers when you win a round. Speaking of winning a round, the old cascading cards with afterimages are really getting old. At this day and age, surely there are other graphics that can be used when you win. 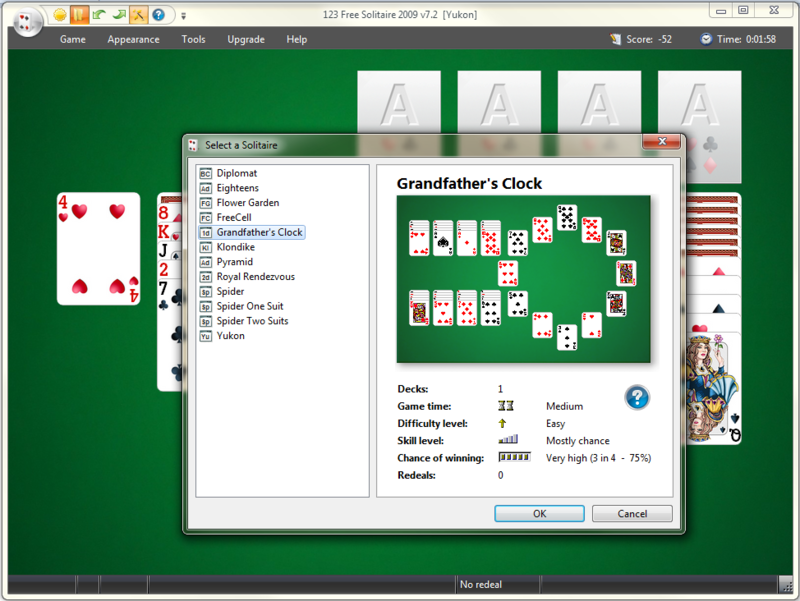 The game's help file is detailed and gives you the instructions on how to play the 12 available card games in the application. It even has a nice summary the gives you the average time a game consumes, the difficulty rating and the chances of winning a game. 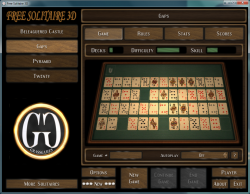 Overall a great game for a free offering and a must have for solitaire enthusiasts. 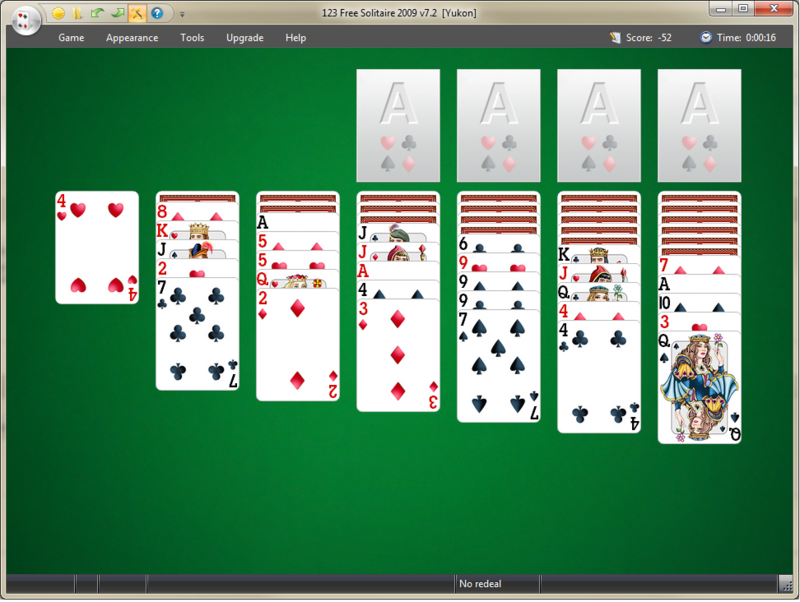 I'm not a big fan of solitaire but now I know what game I'll be pulling up when I have the urge to play a game, if only to pass the time.